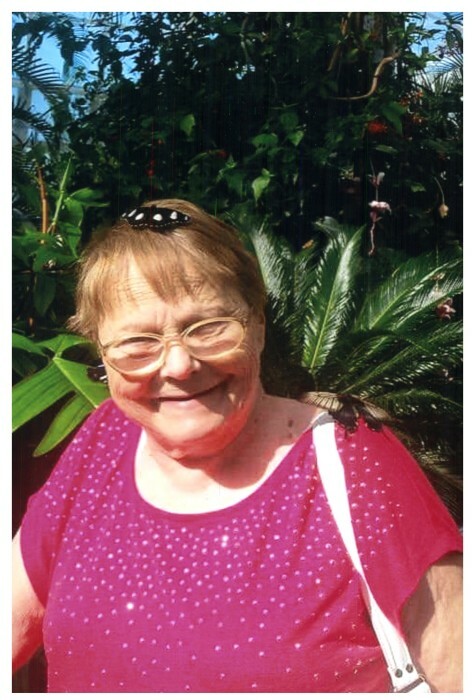 Elizabeth (Beth) Canell 71 of West Haven CT passed away peacefully at Connecticut Hospice surrounded by her loved ones on April 2, 2019. She was born at St. Raphael’s in New Haven January 1st 1948. Beth worked for New Haven Register delivering newspapers in the North Haven area for over 20 years. She is the beloved mother of Shaun (Raeana) Griffin of Dudley MA and Erin (Richard) Allen of East Haven Ct. Caring grandmother of Richard Allen Jr, Joseph Allen, Logan Griffin, Andrew Allen, and Autumn Griffin, Sister of Yvonne (Jim) Rose of Stratford CT. Aunt to Niece and Nephew Matthew and Amanda Keane. She was predeceased by her father Benjamin and mother Stella Canell of West Haven. Beth loved to talk to anyone that would listen. To know Beth was to love her, she made friends everywhere she went. Her hobbies were gardening and cooking, especially when it was for entertaining her friends and family or celebrating any occasion. She also loved to travel and with the help of her sister Yvonne she was able to see many of her bucket list destinations. The family invites you to Mass to honor Beth and celebrate her life at St Andrew's Episcopal Church, 283 Bridgeport Ave, Milford, CT 06460 on April 13 2019 at one o'clock in the afternoon. With reception to follow directly afterwards, to share memories amongst all those who love Beth. The family asks that in lieu of flowers that you please make a donation to Connecticut Hospice 100 Double Beach Rd. Branford, CT 06405.